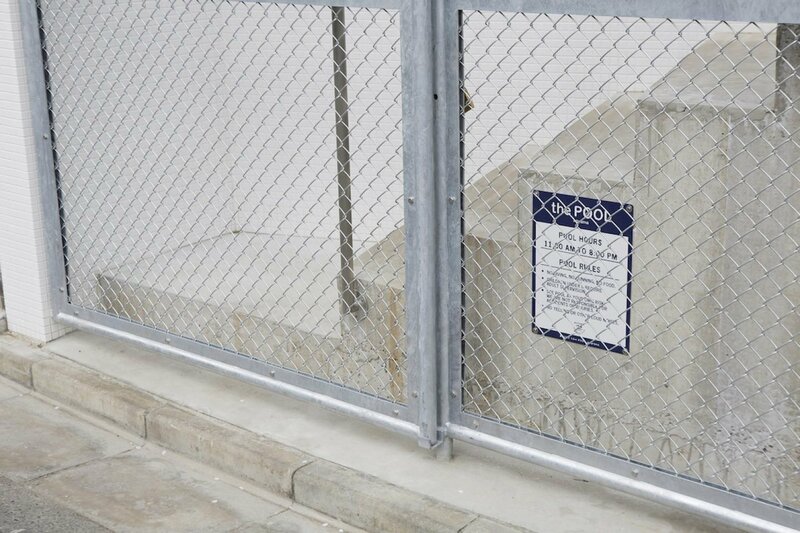 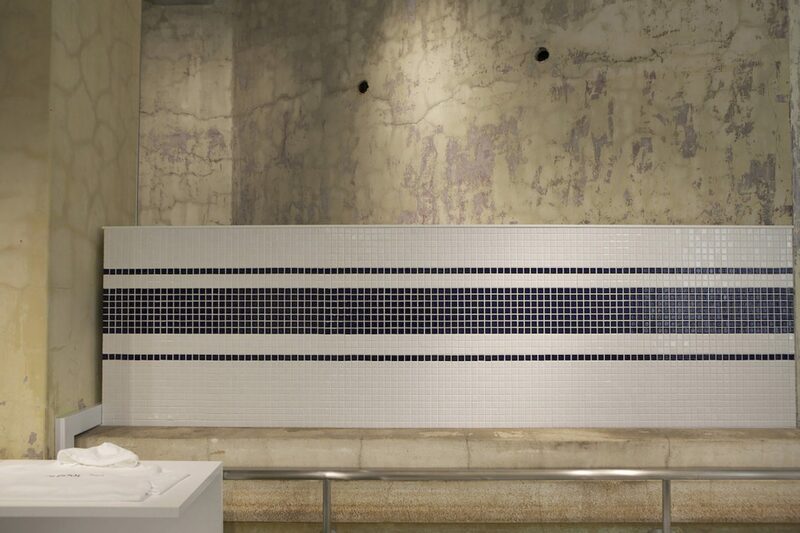 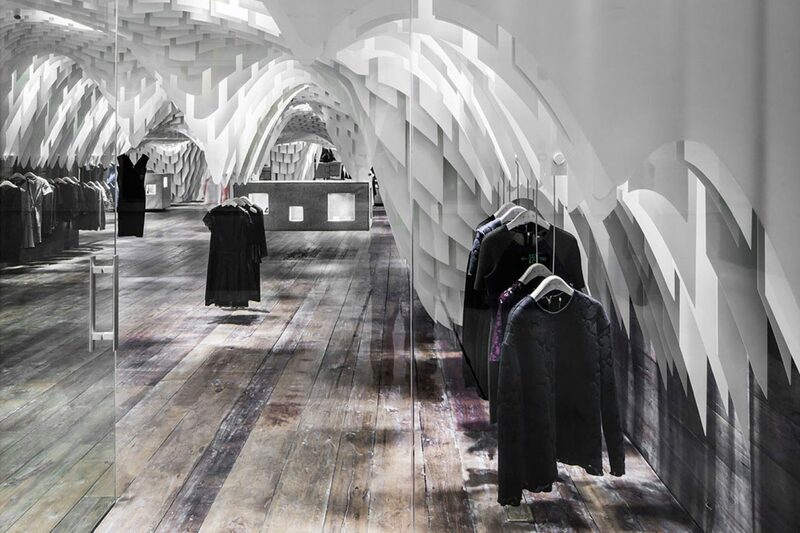 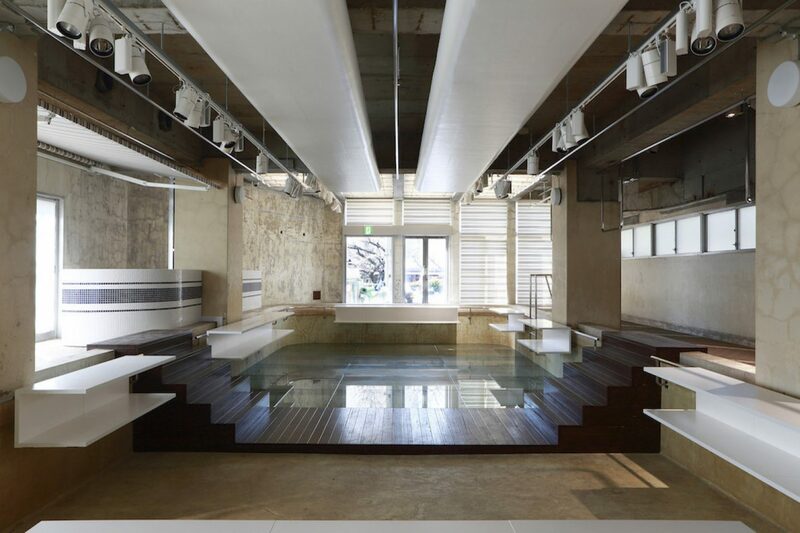 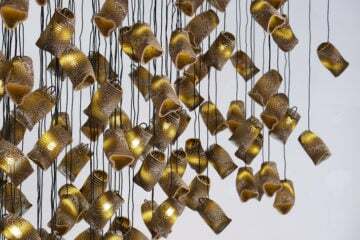 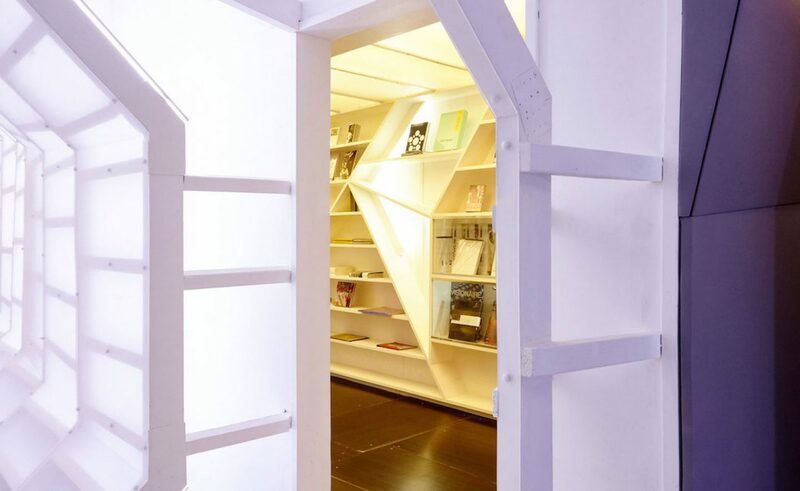 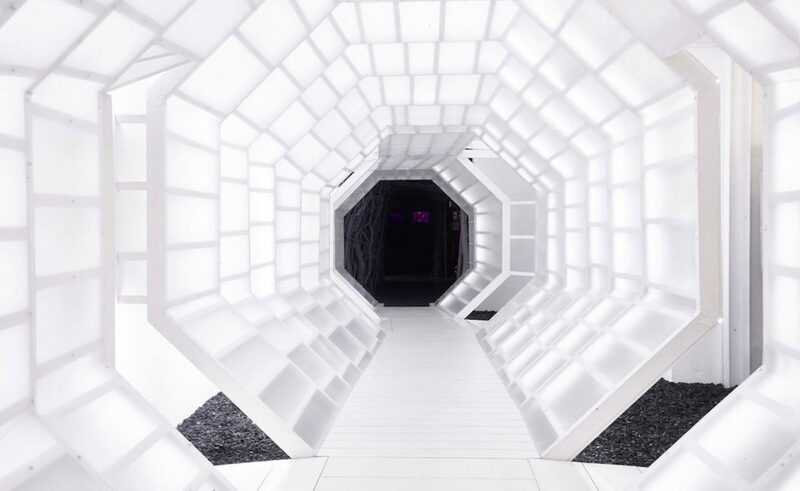 In the space where design meets architecture meets fashion, innovative concepts abound. 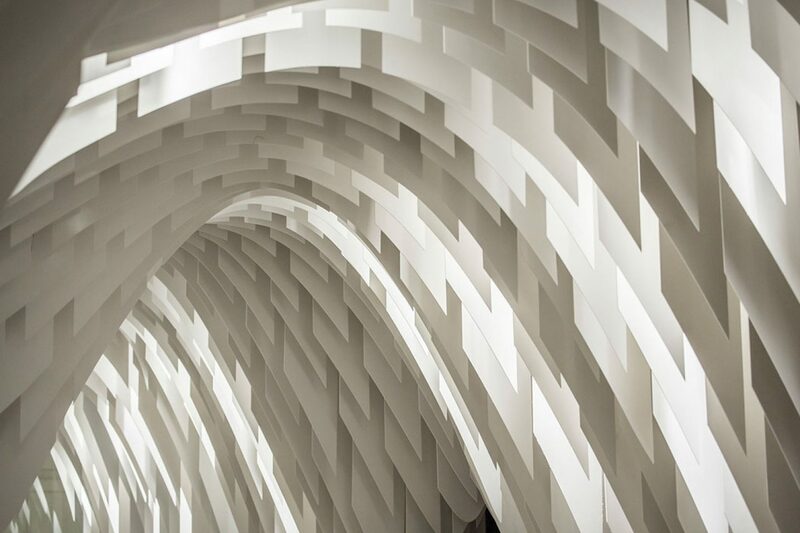 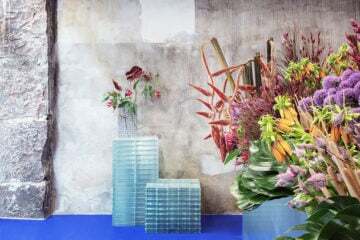 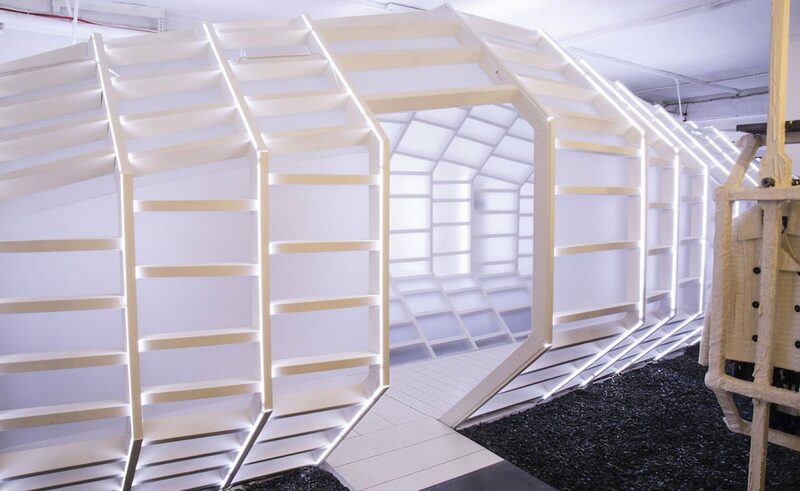 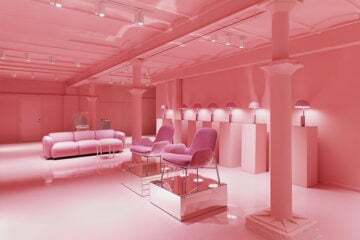 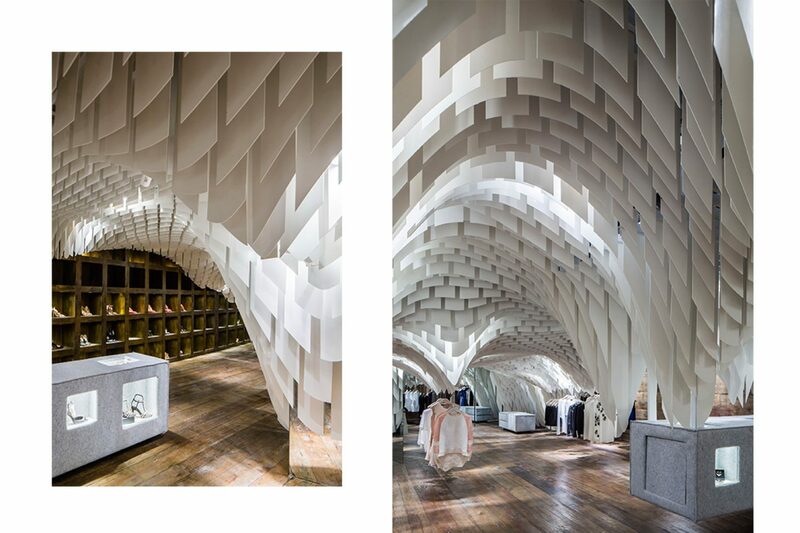 With light, display, tactile experience as foremost priorities, collaborations between forward-thinking design studios and brands with big ideas can produce enthralling spaces that are as much about the visual and physical experience as they are about the activity of shopping. 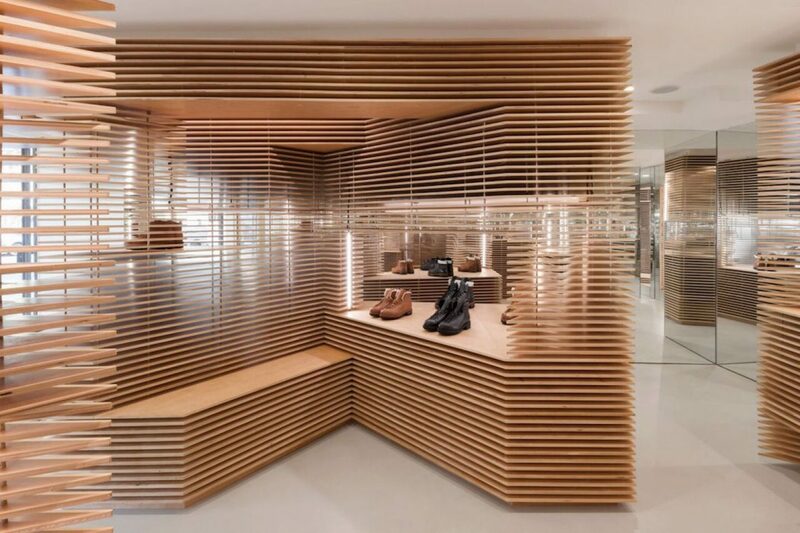 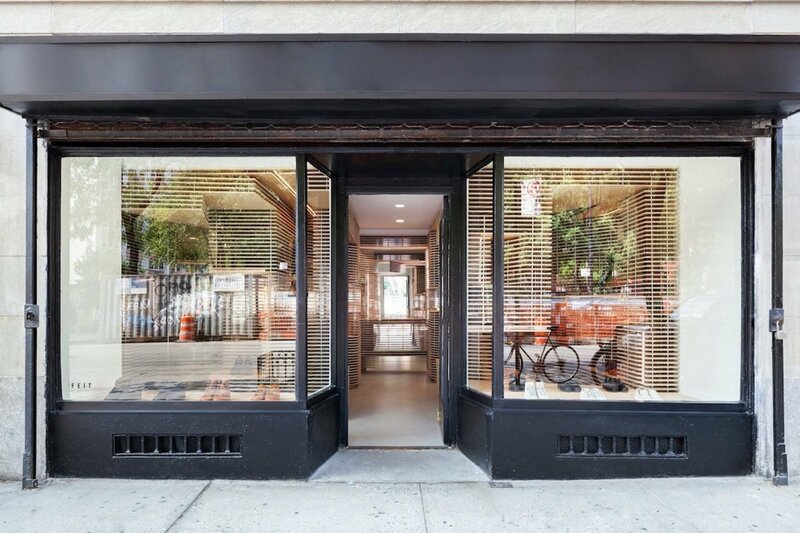 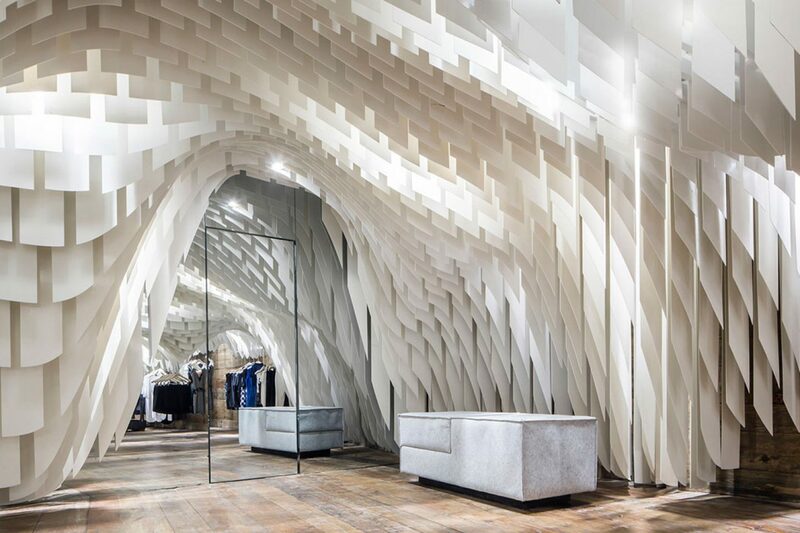 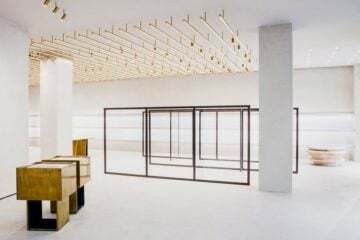 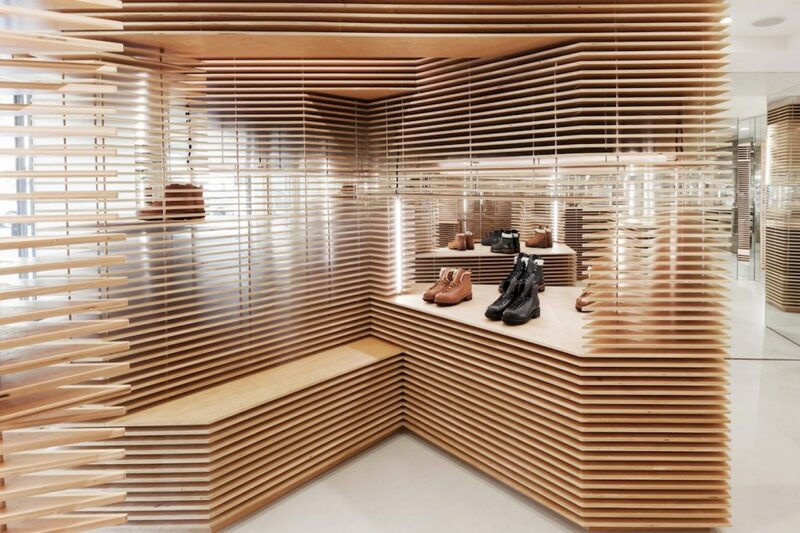 We’ve selected 10 of our favorite retail interior spaces from around the globe which caught our eye for their realization of a strong artistic vision through a well-considered use of space, craftsmanship and materials. 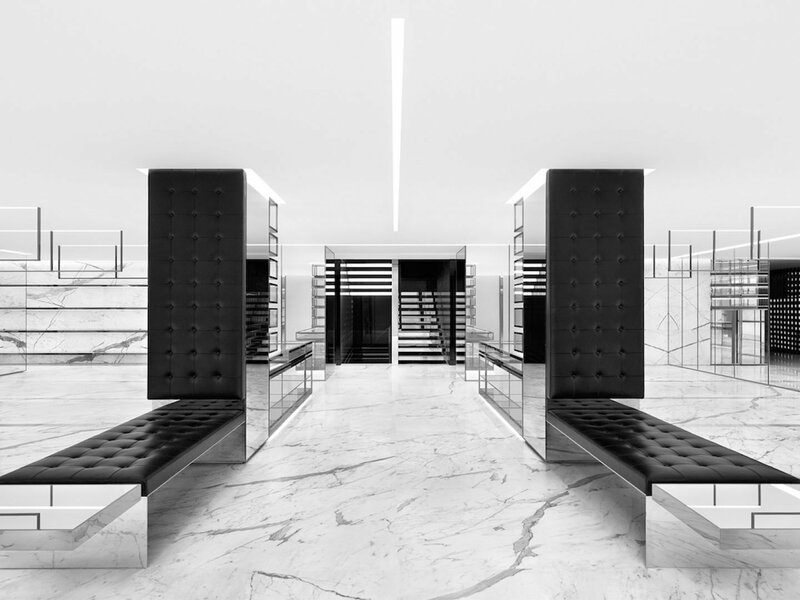 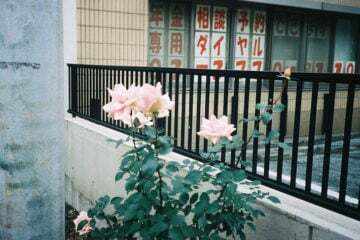 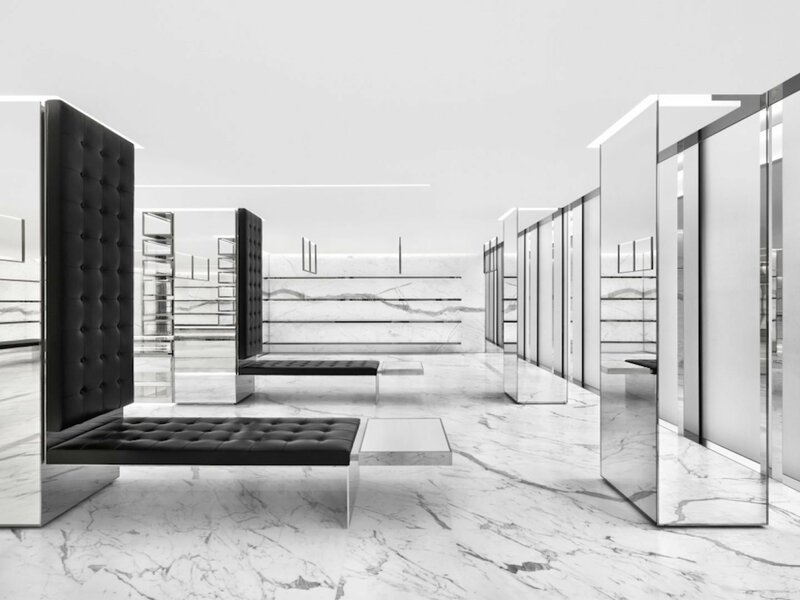 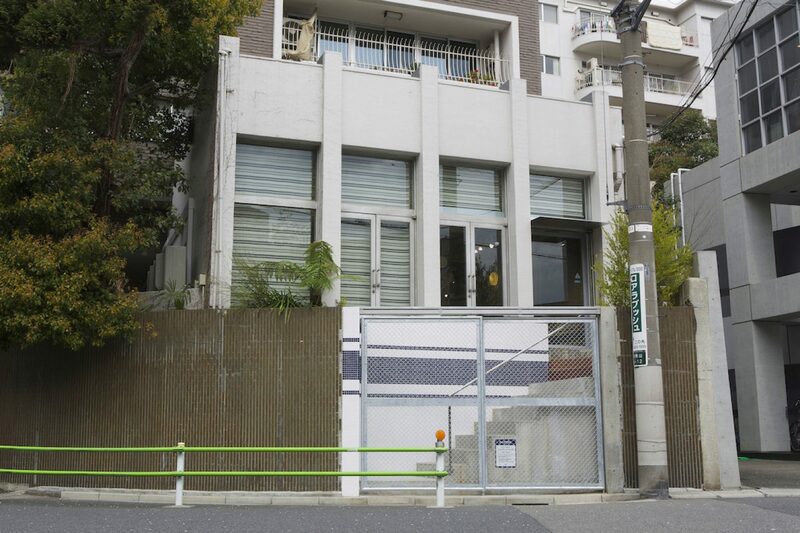 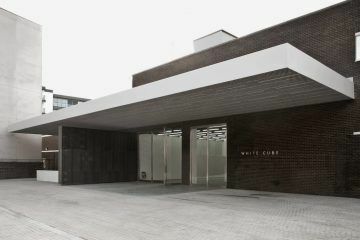 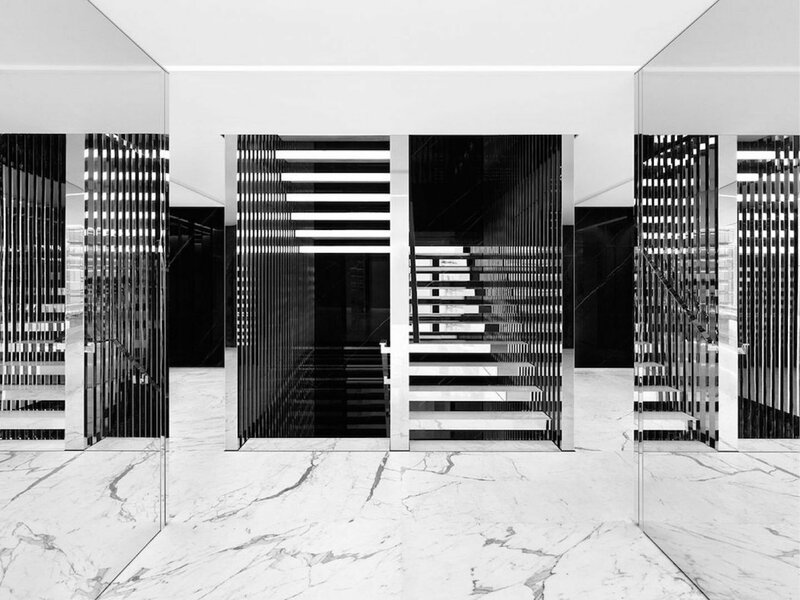 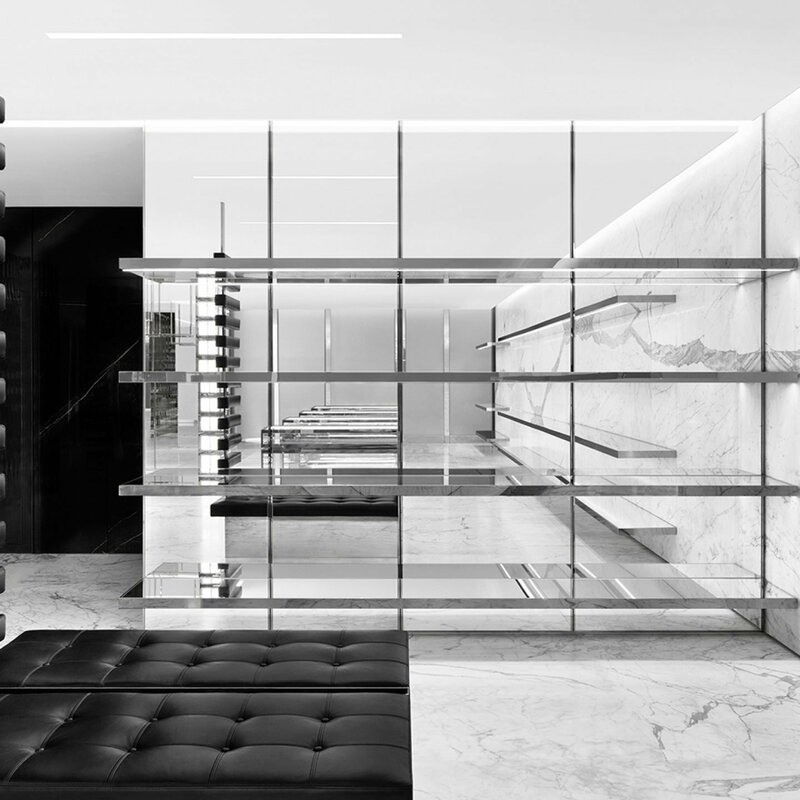 Iconic luxury fashion house Saint Laurent’s largest store to date takes the form of a three-storey, 10,000-square-foot space in Tokyo’s prestigious Omotesandō avenue. 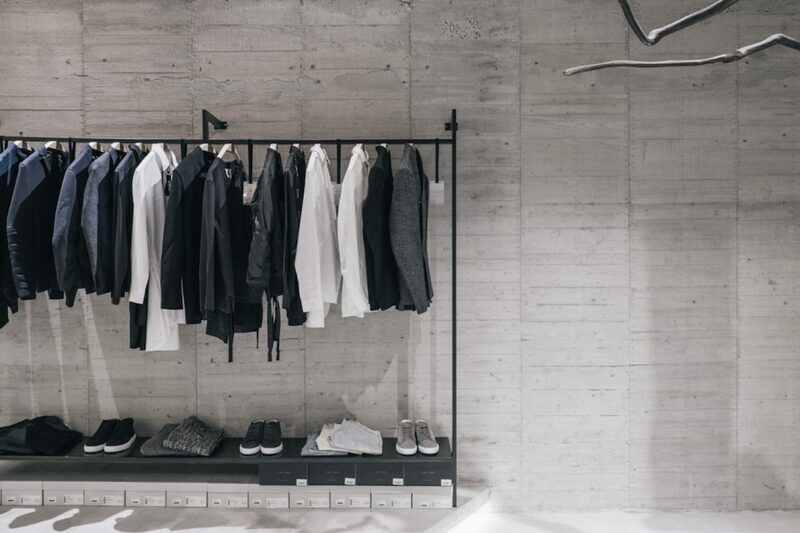 Designed by the label’s creative director, the fit out closely follows the trademark style of minimal luxury found across its other stores. 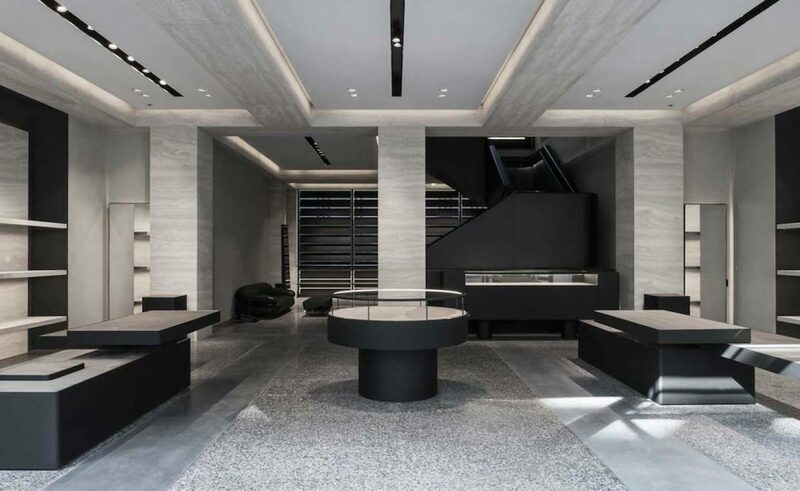 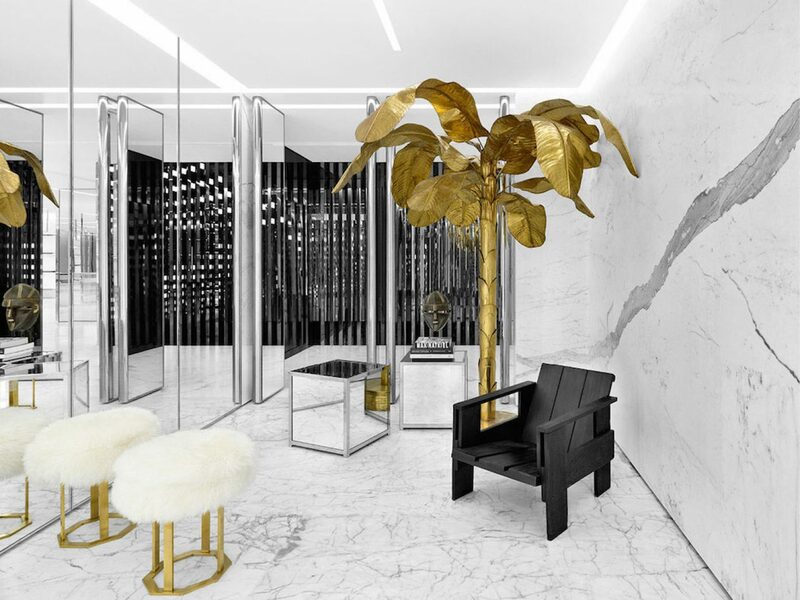 Black marble and leather, glass, brass and gold accents were complemented by a range of surf boards designed by 18-year old Los Angeles-based artist and muse to Slimane, Lucia Ribisi, that went on sale before the opening. 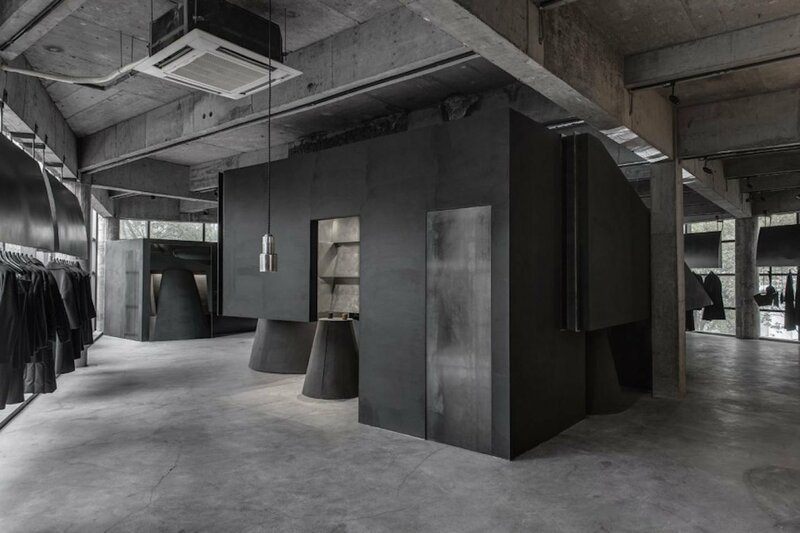 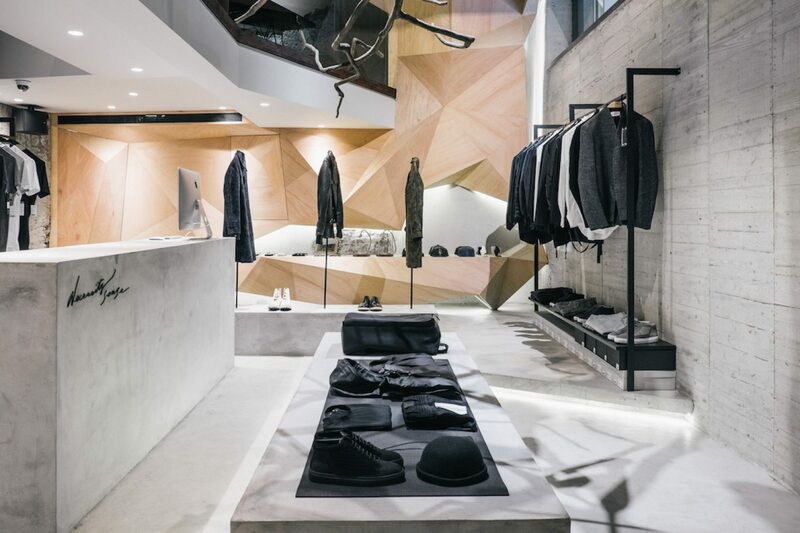 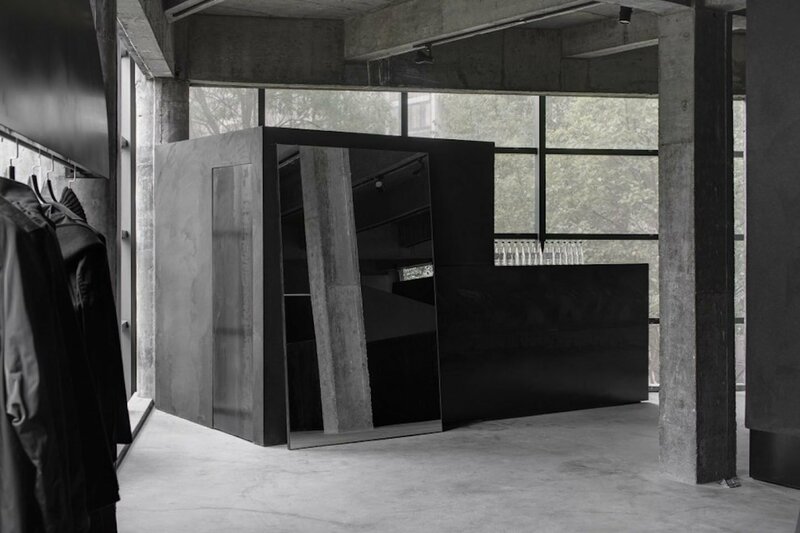 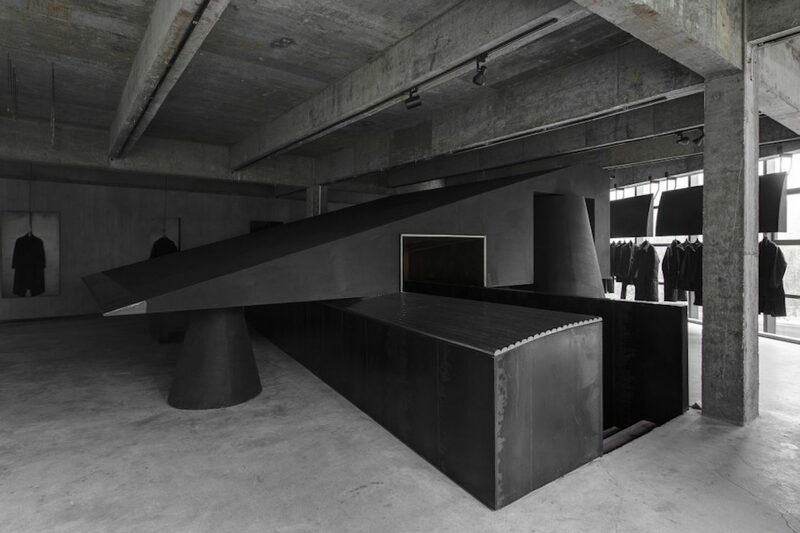 Independent Taiwanese fashion brand Ne-Sense enlisted design studio Yun Yih to fit out a showroom inspired by the five elements of Chinese philosophy: fire, water, earth, wood and metal. 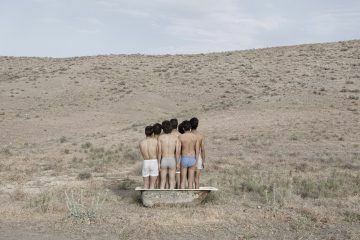 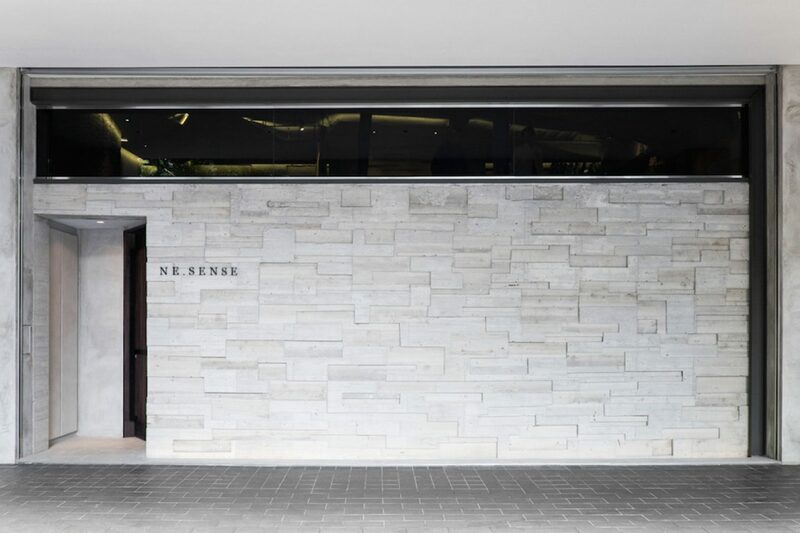 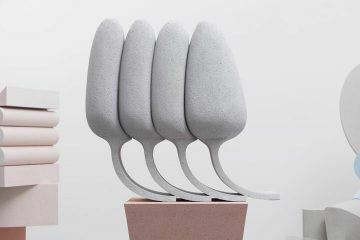 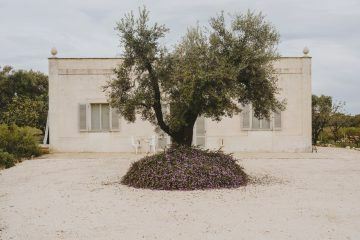 In a recent interview, the three brothers behind Ne-Sense state, “The waterfall design in our bathroom tap is inspired by rain, but what engages customers most is the exposing concrete interior and dangling branch in the middle. 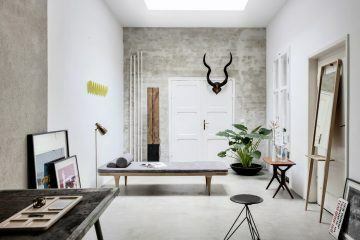 Other interior decorations such as the Medicom toy and vintage ornaments are from our own collectibles. 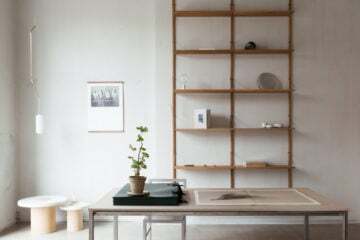 They’re sentimental pieces that represent our journey.” The project received the IF Design Award 2015. 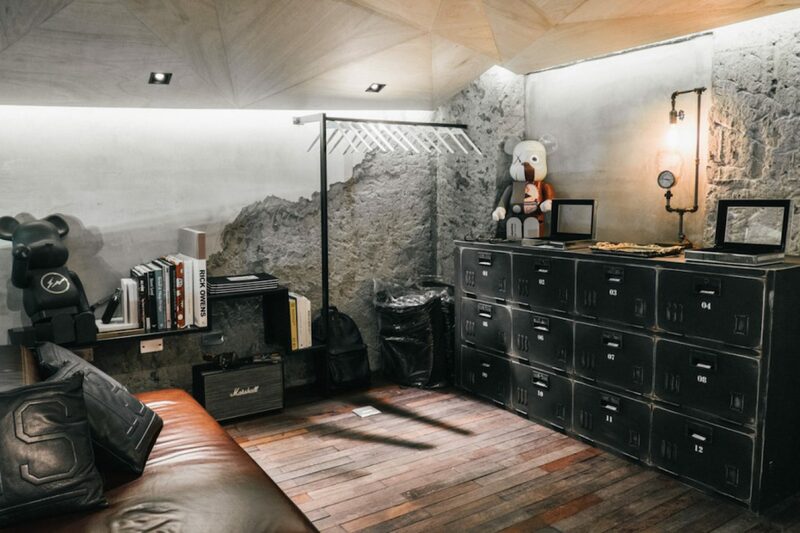 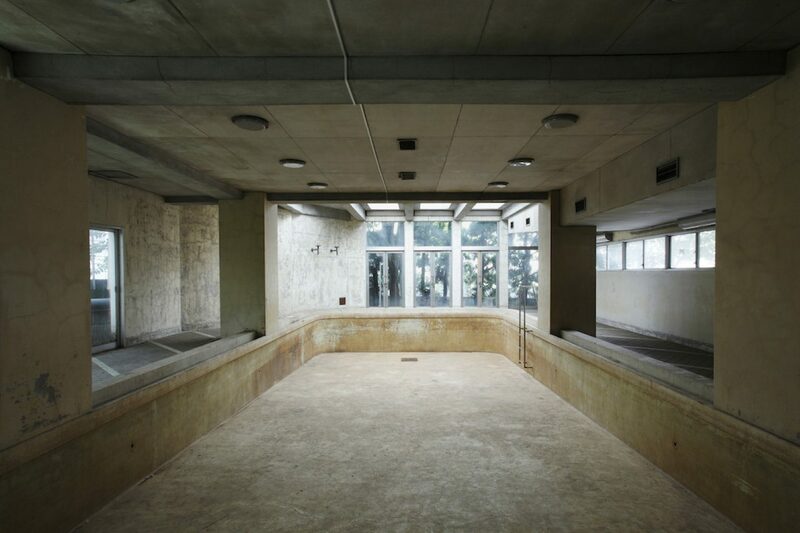 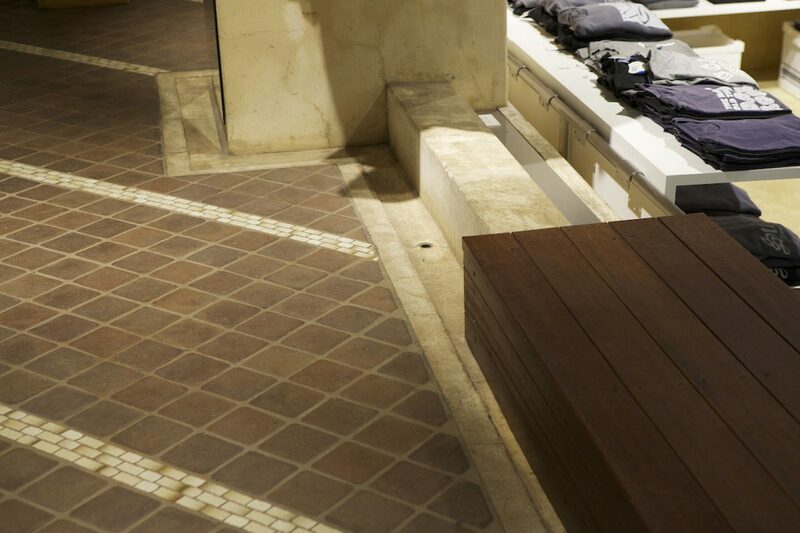 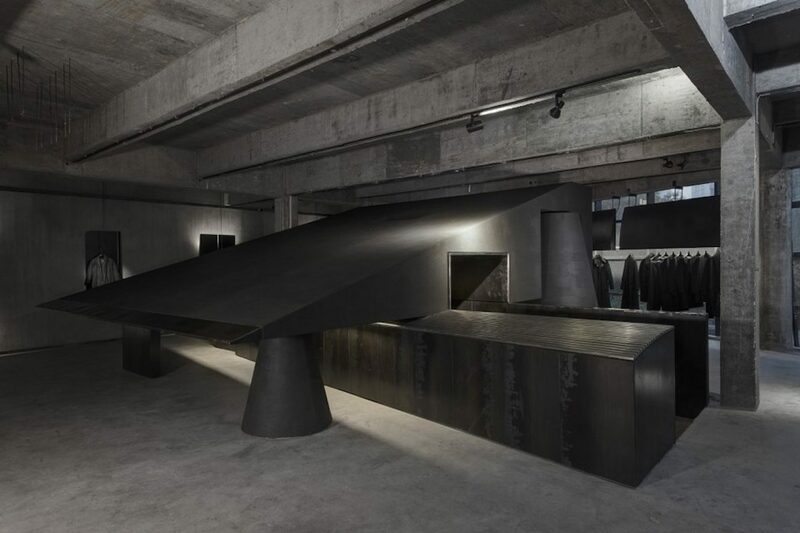 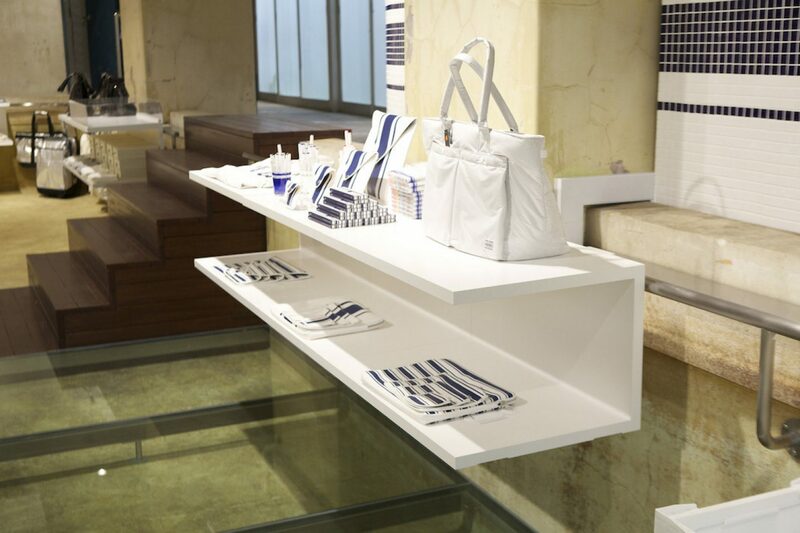 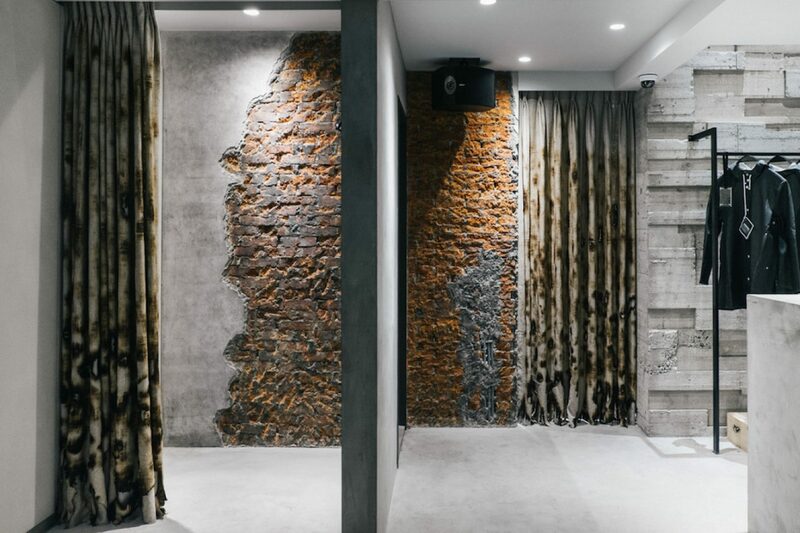 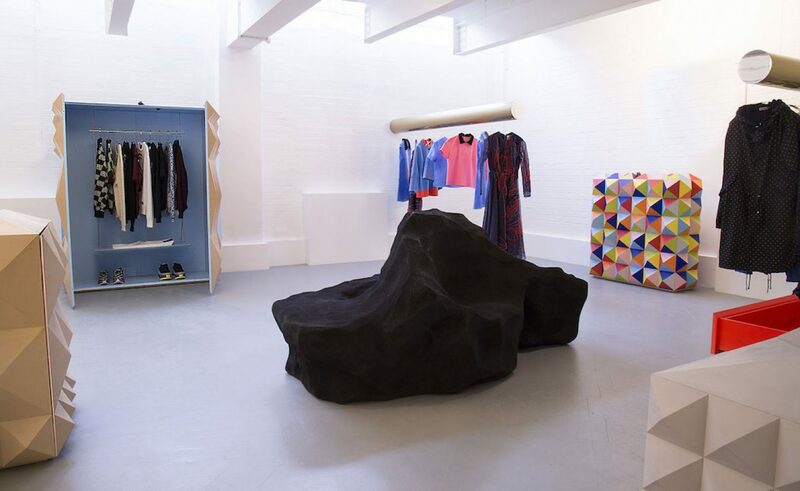 An Design Company turned a lofty third-floor concrete-shelled space into the home for clothing brand Heike. 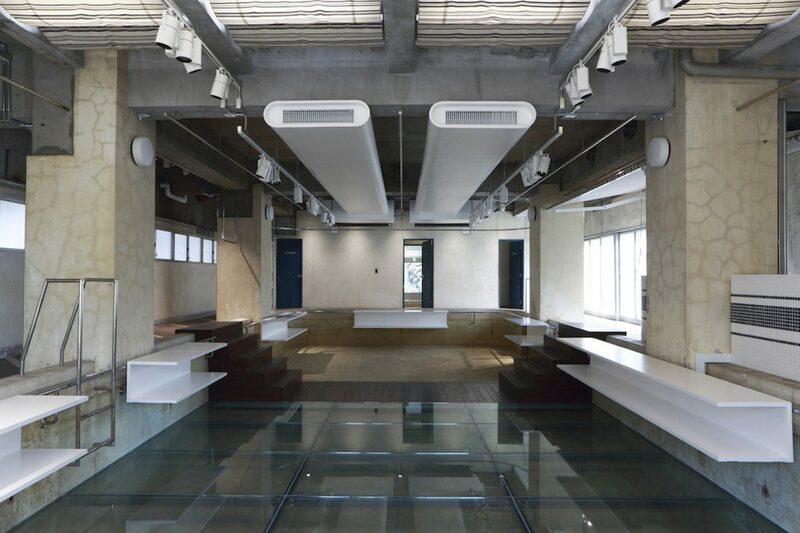 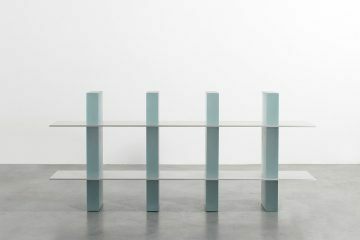 Accessible through a furniture store on the floor below and up a narrow staircase, the store is surrounded by glass on three sides, propped up by pillars. 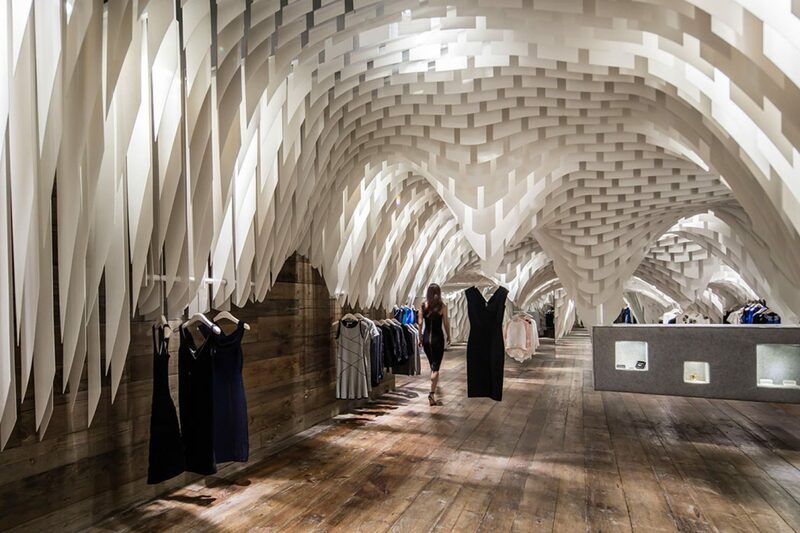 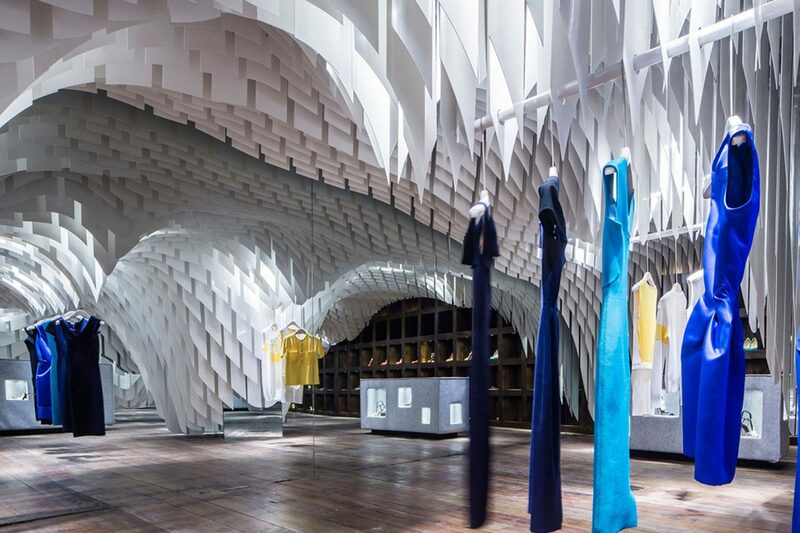 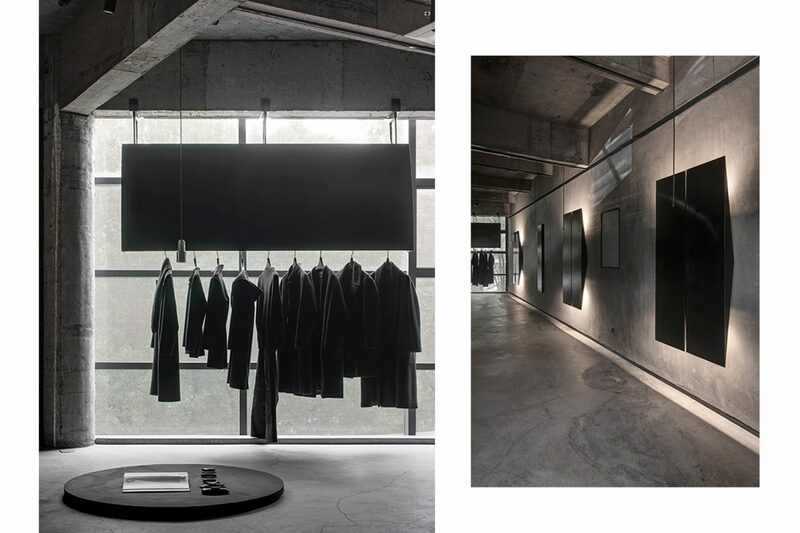 Back-lit panels and architectural-style lamps illuminate suspended racks of clothing, creating a calming yet moody atmosphere. 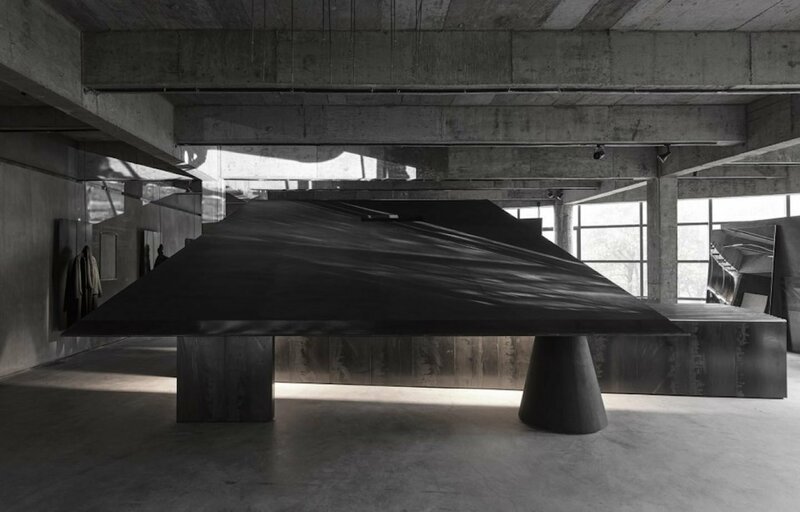 A central large black slope acts as the centerpiece, inviting reflection on the interplay of light and shadow. 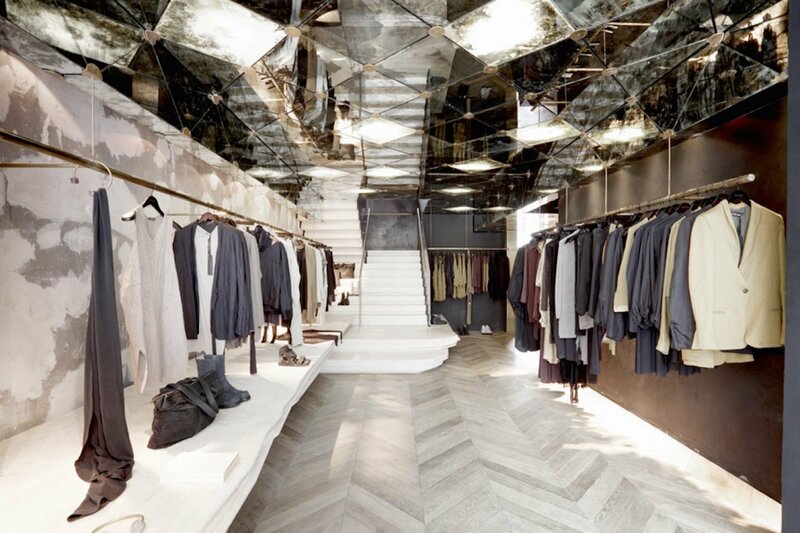 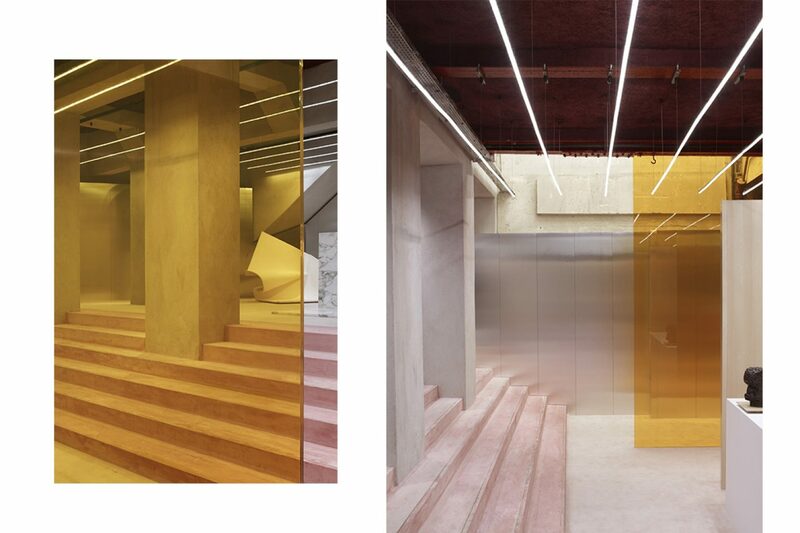 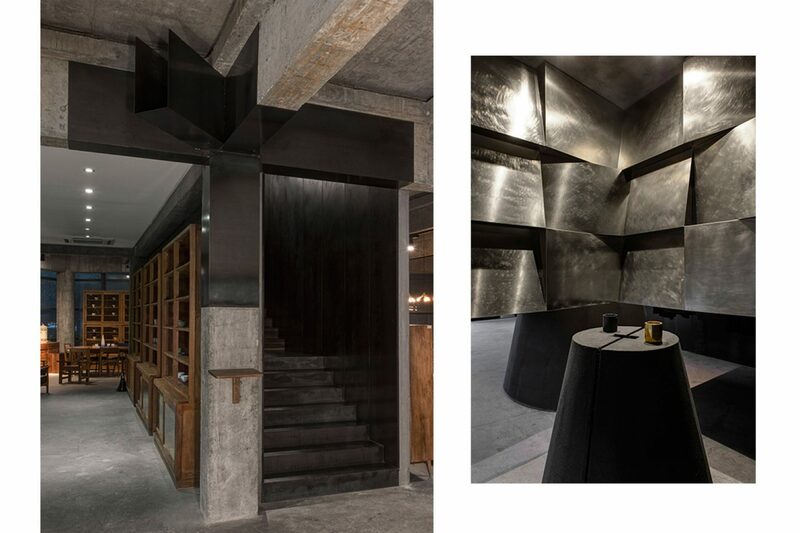 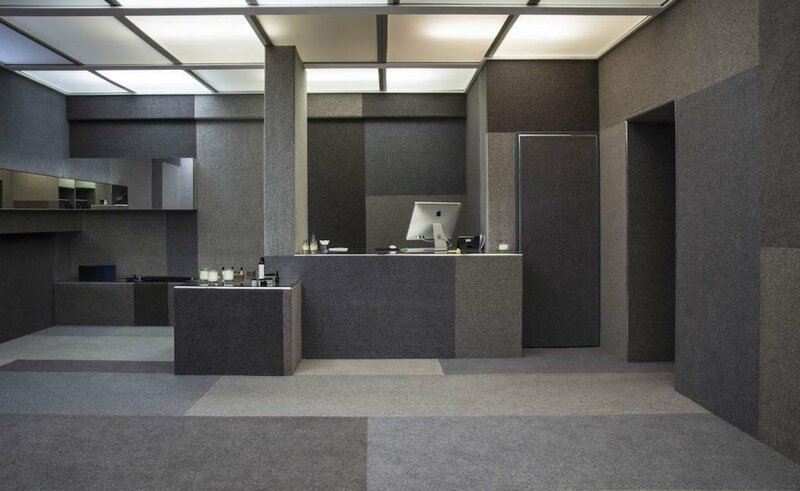 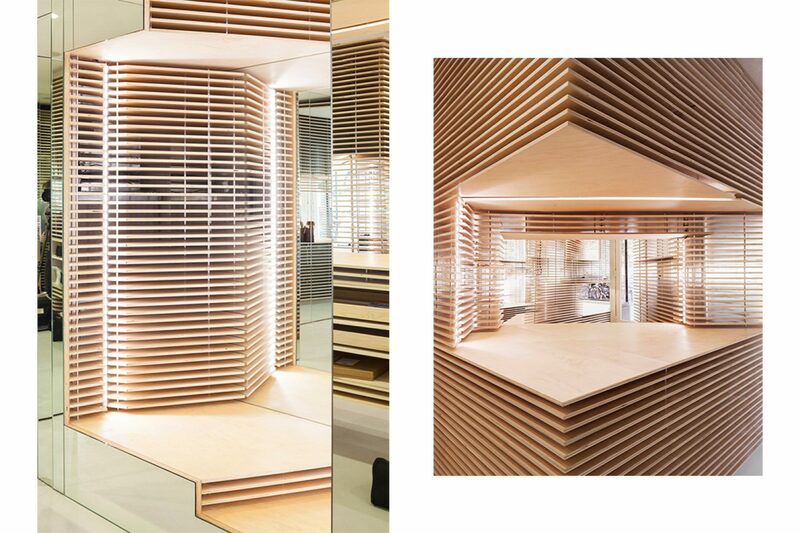 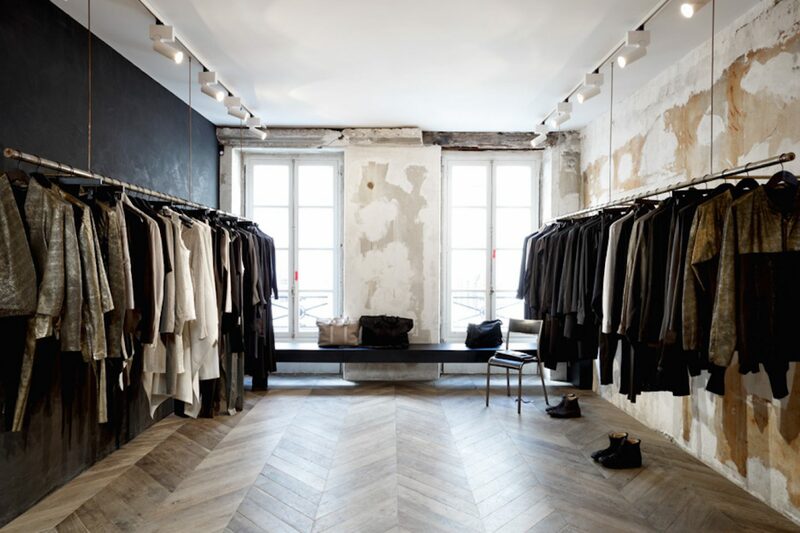 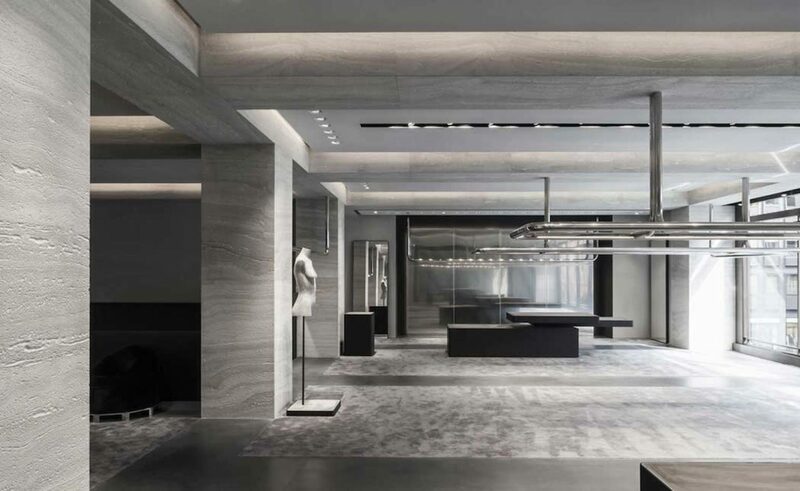 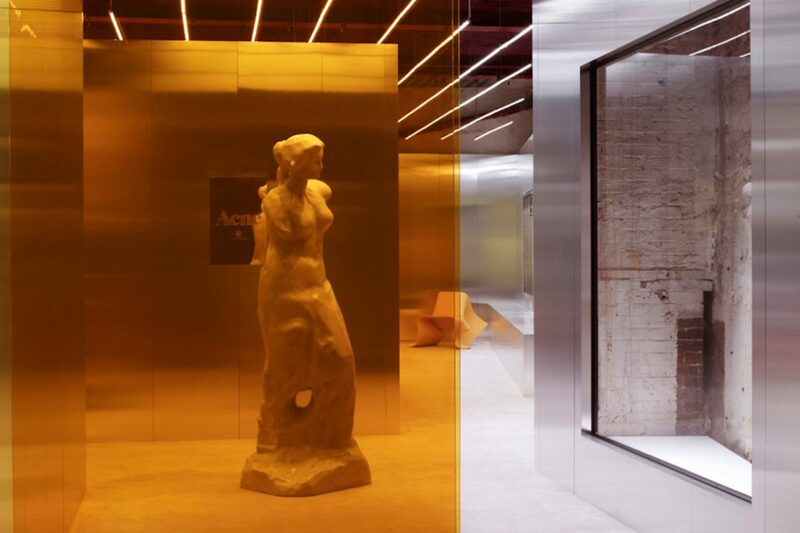 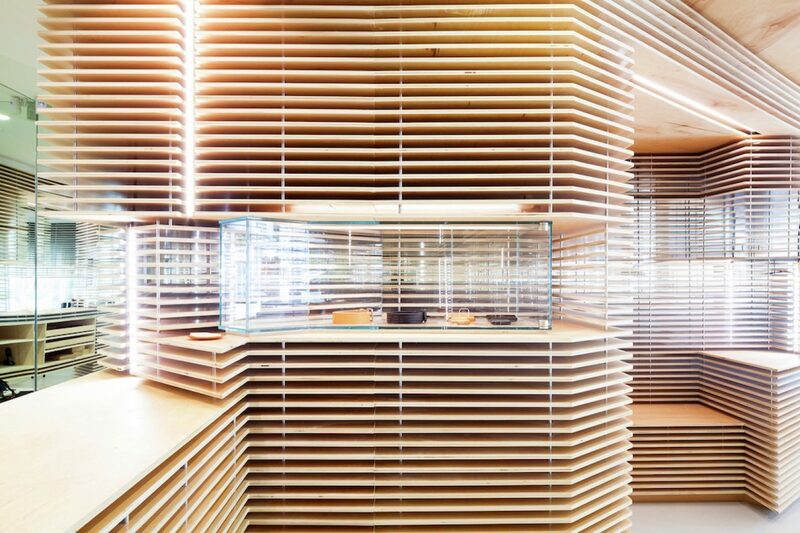 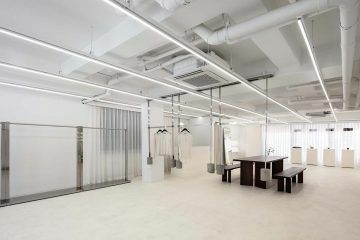 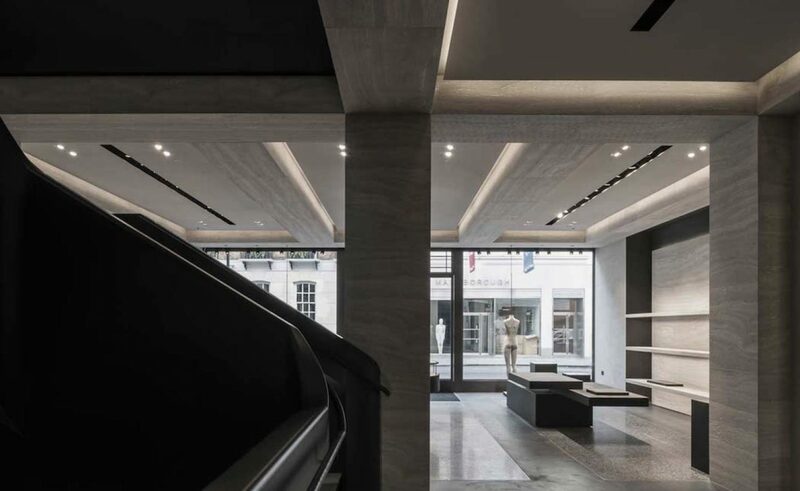 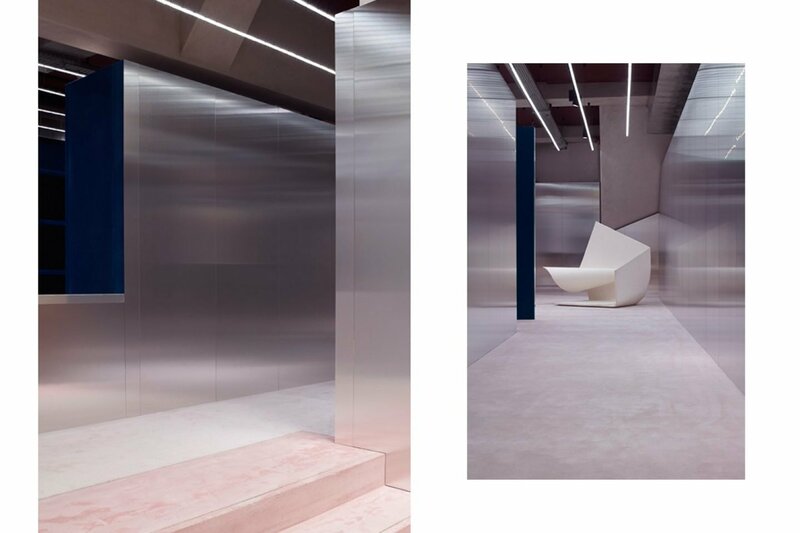 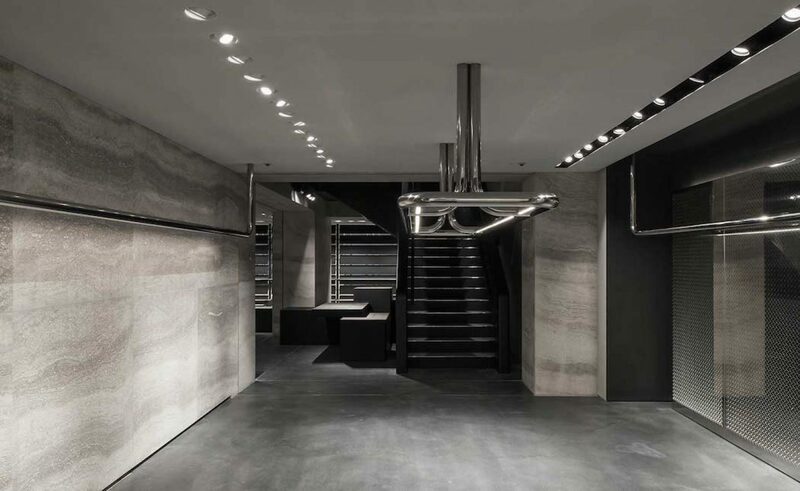 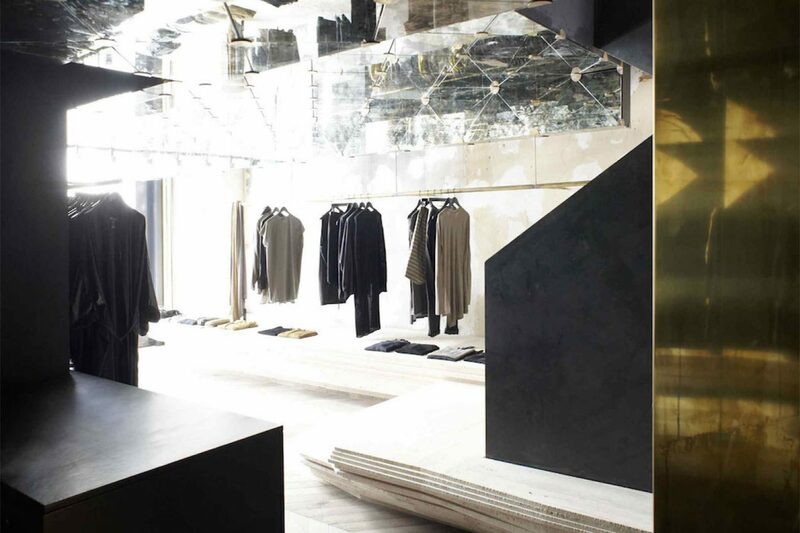 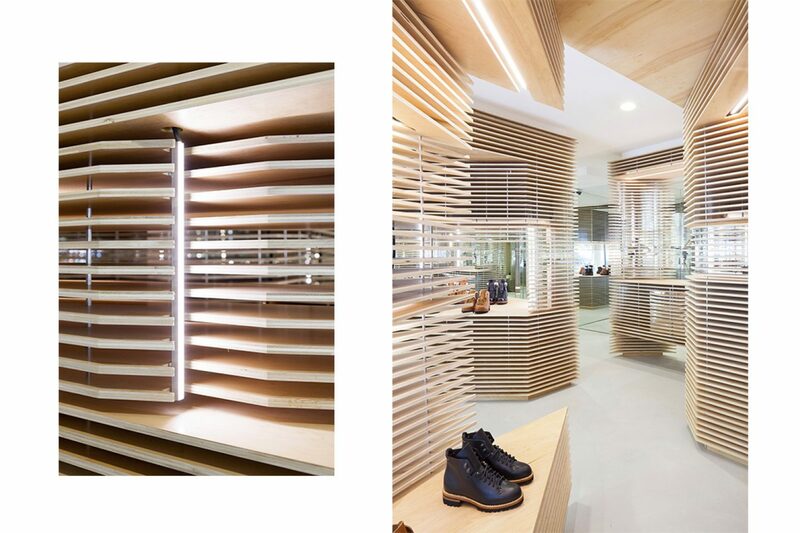 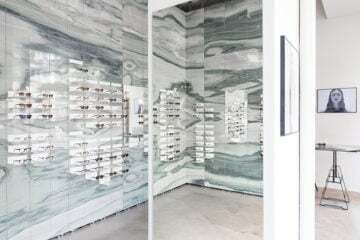 Melbourne practice March Studio fitted our designer Damir Doma’s Rue St Honore space in a raw yet elegant style. 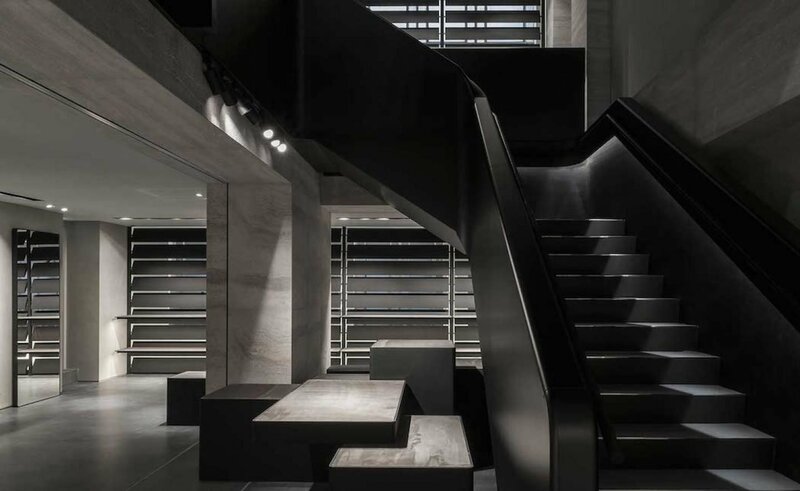 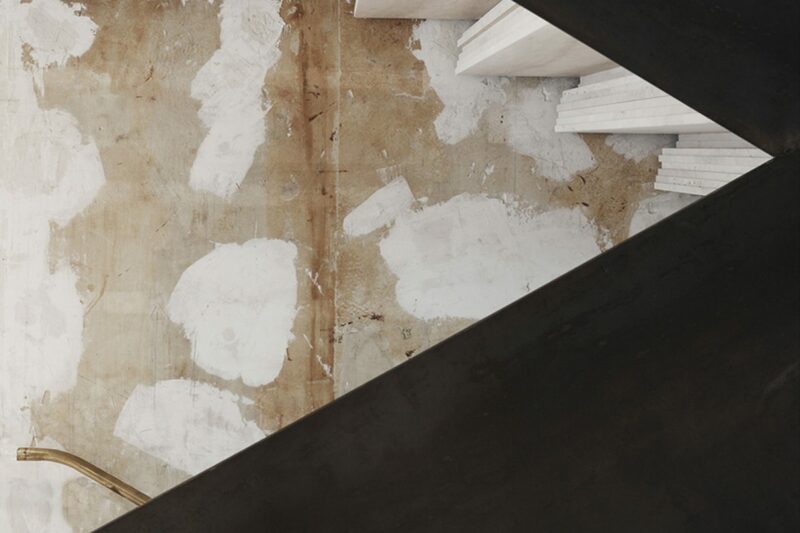 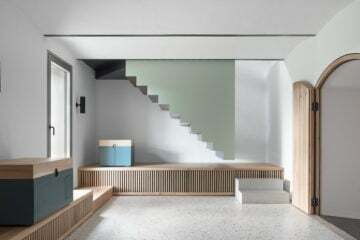 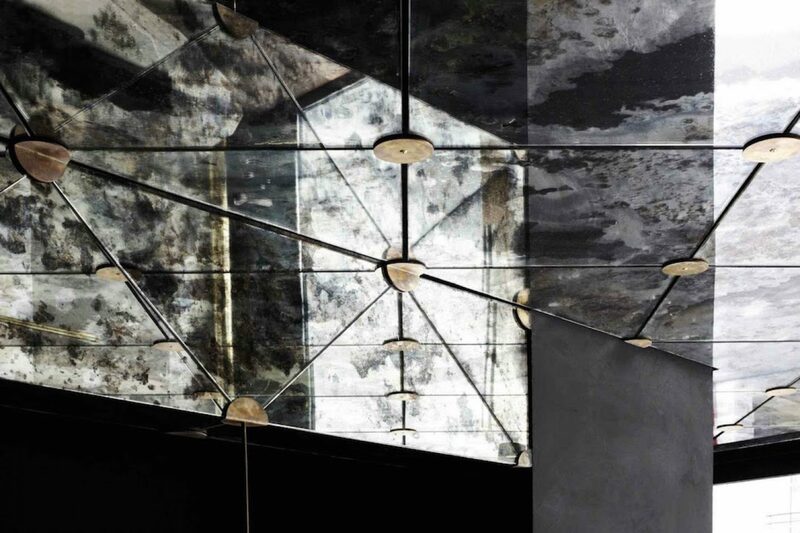 Layers of texture, steel and mirrors connect the herringbone floorboards with the centerpiece staircase, formed from slab of stone. 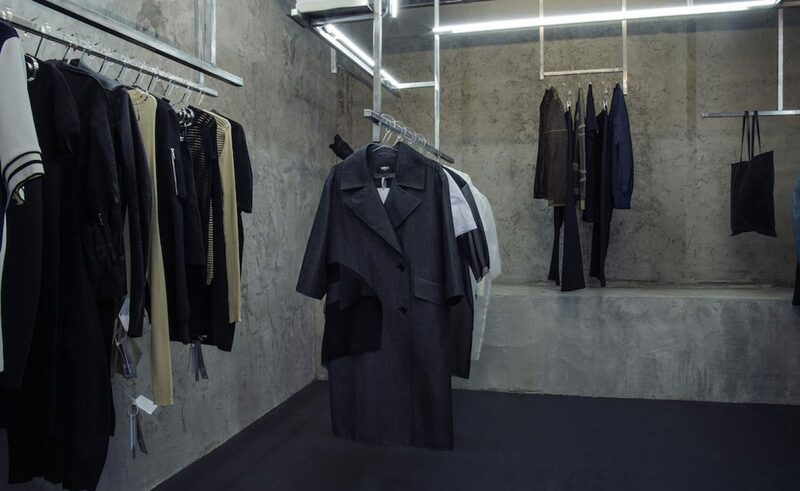 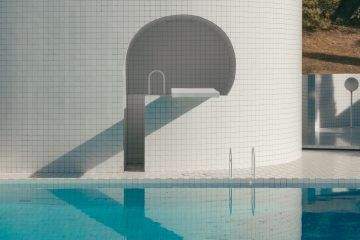 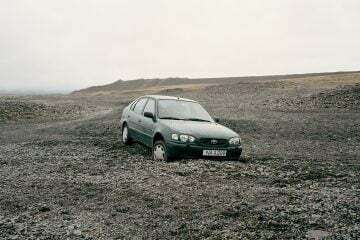 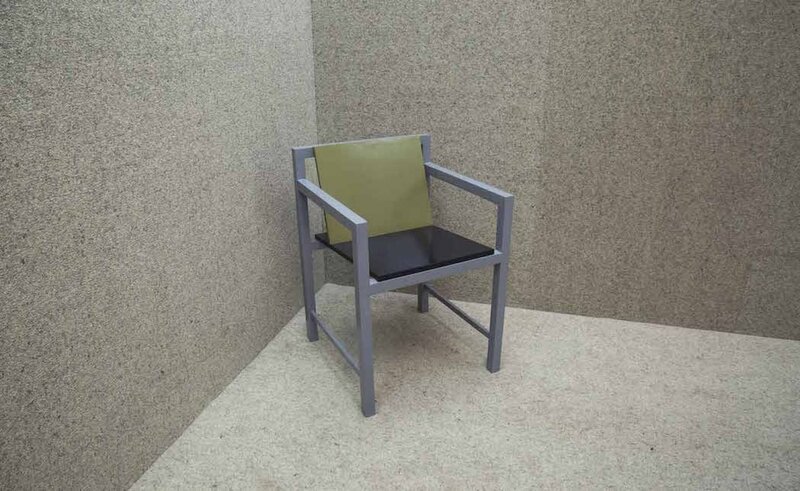 Each element comes together to create an extension of the cult label’s slick and mysterious design ethos.